Though legendary Antonio Rogerio Nogueira was able to give Phil Davis all he could handle, the latter still won the recent UFC Fight Night 24. Last Saturday’s UFC Fight Night 24 is an example of battle between youth and athleticism versus experience and technique. Fortunately for Phil Davis, he was able to surpass the power of Antonio Rogerio Nogueira. However, the latter made life difficult to the youngster in the early going. The first round turned into a 15-minutes of back-and-forth battle of attempted takedowns from Phil Davis, and effectively shrugging it off by Antonio Rogerio Nogueira. But midway through the second frame, Phil Davis successfully employed a single-leg takedown to get his opponent to the canvas. He used the same technique in the third round, and he was able to control Antonio Rogerio Nogueira. After the match, Phil Davis improved his MMA record to 9-0, showcasing his athleticism and wrestling technique that makes him a great UFC prospect. Nevertheless, he also showed that he can’t just waltz inside the Octagon and dominate a legend. 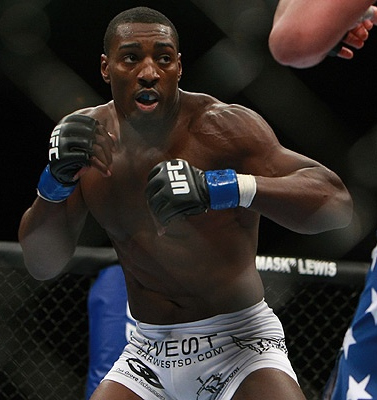 What are your thoughts in Phil Davis’ victory over Antonio Rogerio Nogueira? Let it be heard by leaving a comment.